Non-impact loading exercises like walking are generally very good for arthritis. It keeps the joints moving, it keeps the joints strong and diminishes inflammation. Experiencing some pain while exercising is not necessarily a sign that something is wrong. Generally speaking, it’s ok if there’s a little bit of discomfort, but it shouldn’t be making pain worse. The CDC recommends 30 minutes a day of physical activity to his patients who are able to do it. 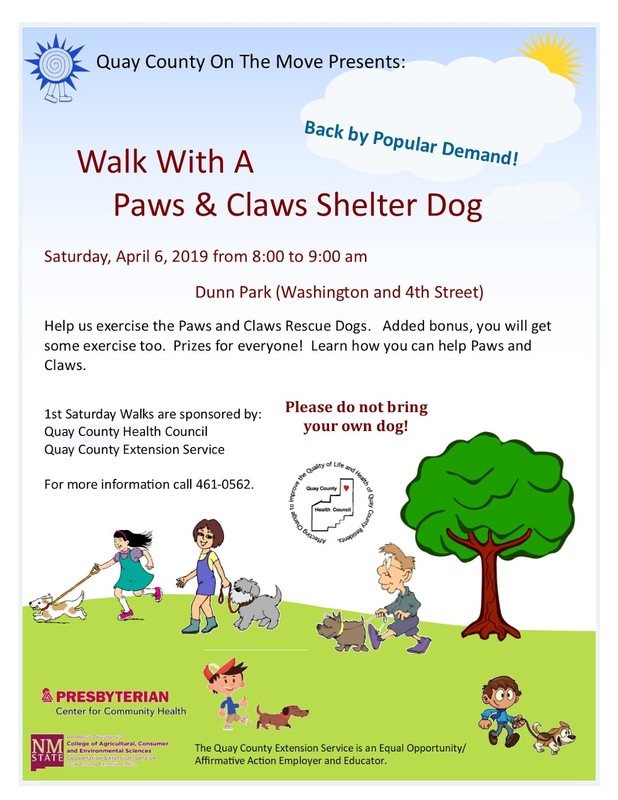 Walking is not the only option. You can also mix brief walks with swimming or water aerobics, low-impact leg raises, muscle-tightening isometric exercises and stretches. Need some motivation? 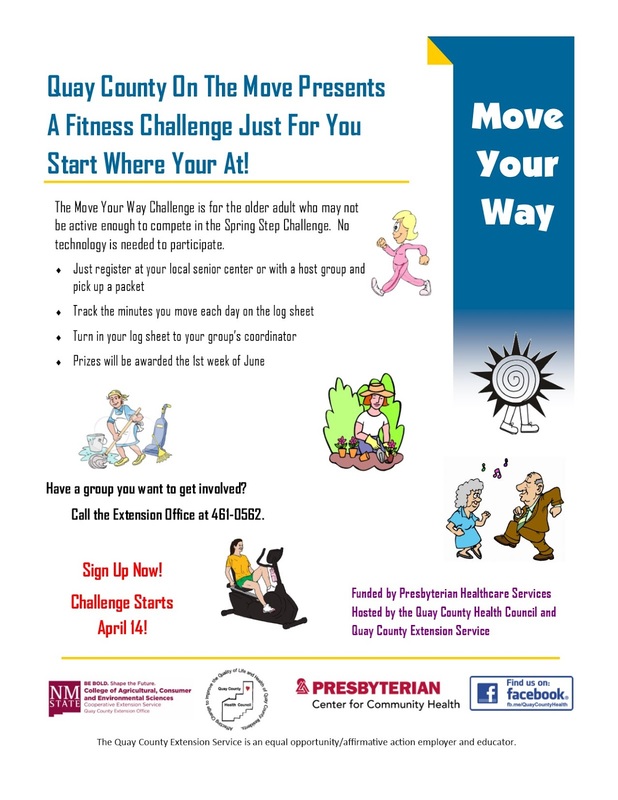 It is not too late to join the Move Your Way Exercise Challenge. Call the Extension Office at 461-0562 to sign up. The Challenge ends May 25th. It is Spring in the dessert Southwest and temperatures are rising. This is a perfect time to review some information about hyrdating our body and bust some common myths. Water is involved in many critical bodily functions, from maintaining blood pressure and transporting nutrients to lubricating joints, digesting foods, removing waste from the body, and regulating body temperature. The human body loses fluids through sweating and urination, and, if sick, also potentially through vomiting, diarrhea, or blood loss. If we lose significantly more fluids than we take in, the result is dehydration. Chronic dehydration can contribute to fatigue, low blood pressure, constipation, urinary tract infections, and kidney stones, as well as reduced mental activity and physical coordination. Dehydration can also place stress on the cardiovascular system, and emerging evidence suggests it may increase the risk of damage from inflammation, which in turn elevates risk for chronic disease. For these reasons we must stay hydrated and our dry air makes it more difficult than if we lived in other parts of the country. Let’s take a look at some common myths and misconceptions regarding staying hydrated. Only 3 in 10 New Mexico Adults with Pre-diabetes Know They Have It! The New Mexico Department of Health (NMDOH) joins the American Diabetes Association in recognizing Tuesday, March 26th as “Diabetes Alert Day”. 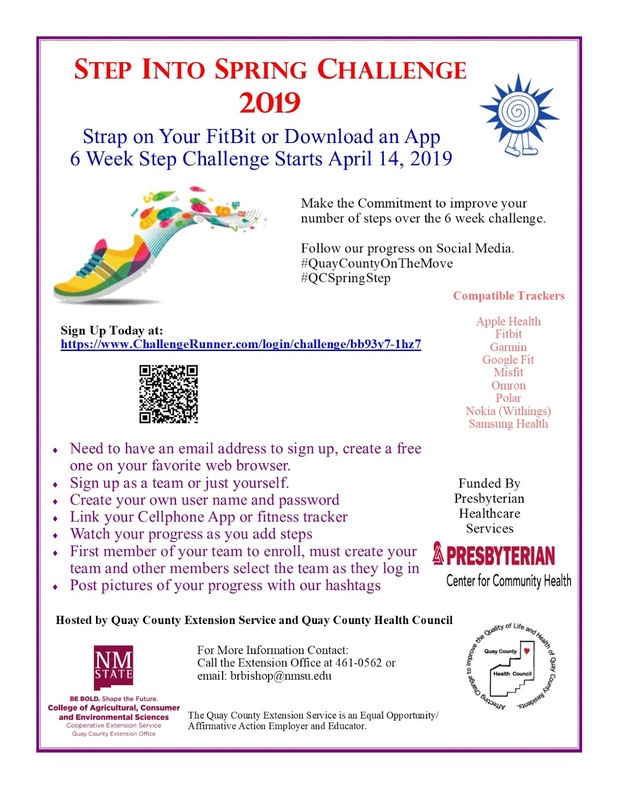 The annual health observance encourages New Mexicans and others nationwide to take a quick, free online Type 2 Diabetes Risk Test and learn if they need to take action that could prevent or delay this disease. Family history of diabetes, race/ethnicity, higher body weight, increasing age, smoking, lack of physical activity, high blood pressure, and a history of gestational diabetes are all risk factors for developing prediabetes and type 2 diabetes. To access the free one minute anonymous Type 2 Diabetes Risk Test, visit Prediabetes Risk Test. The Department of Health estimates that more than 220,000 New Mexican adults have diabetes and over 530,000 New Mexican adults have prediabetes, a condition that precedes type 2 diabetes where the blood glucose levels are higher than normal. Only three in ten adults in the state know they have prediabetes, which prevents them from taking important steps to prevent or delay diabetes. 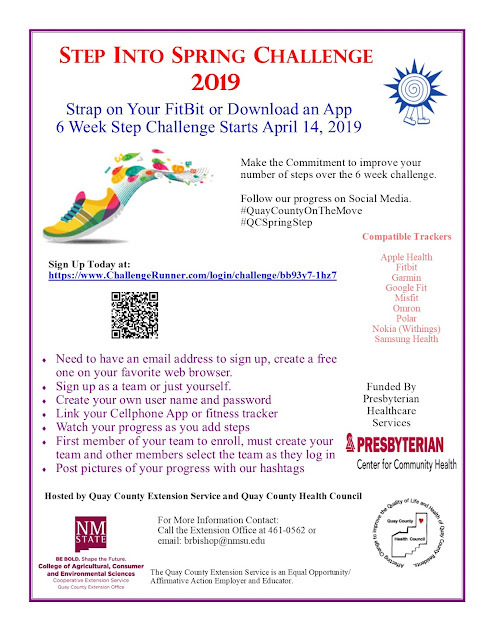 NMDOH’s Diabetes Prevention and Control Program supports several programs for New Mexicans to better prevent and manage prediabetes, type 2 diabetes and other chronic diseases. The programs, offered through the Paths to Health NM: Tools for Healthier Living initiative, are proven to work and improve quality of life. For more information on the program, visit Paths to Health NM: Tools for Healthier Living or call (505) 850-0176 or (575) 703-2343. How Do You Know What To Believe With All of the Contradictory Nutrition News?